Me (in the right), Laura and Ellen Jokikunnas, who was the hostess of This time next year. The photo was taken during the first filming day in February 2017. You, who read my blog, already know that I had a unique chance to sit down with the F1 champion Sebastian Vettel and interview him for my blog during the 2017 Russian GP. 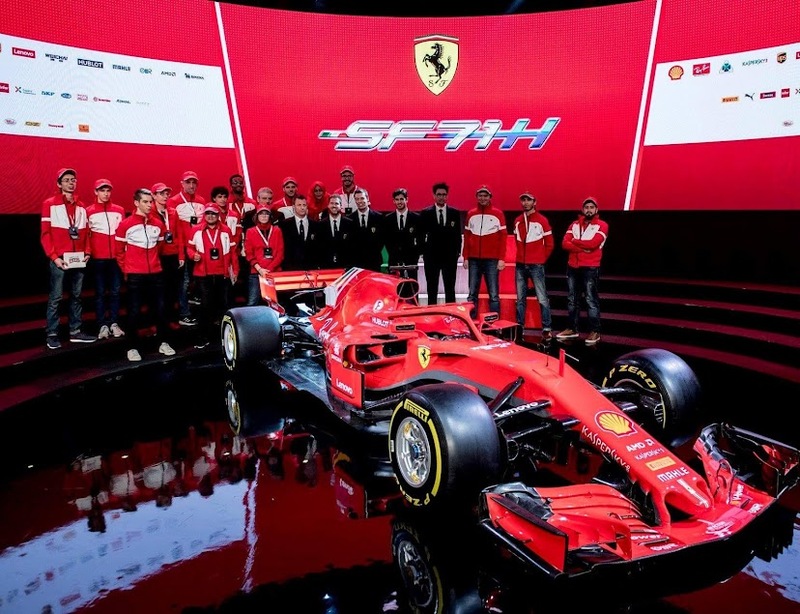 In case you've missed the interview, you can read it here http://inlovewithf1wrc.blogspot.fi/2017/05/an-interview-with-sebastian-vettel.html?m=1 But here's the story behind the dream! 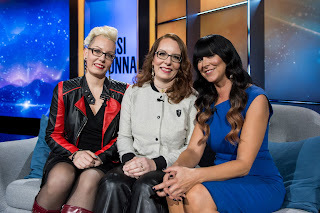 I was one of the 80 Finnish people to take part in the TV programme named This time next year. This time next year is an international TV format about ordinary people making their dreams come true. Dreams vary from losing weight to learning to walk again. I heard about this TV programme in December 2016, when the ITV Studios started to search people for this programme. My identical twin sister sent an application for the programme, and I followed her example almost right away! As, for eight years, I had had a dream of meeting and interviewing the quadruple F1 world champion Sebastian Vettel! My desire was not to be a part of a TV programme but to get a chance to make my dream come true. I had tried to turn my dream into reality already a couple of times before but it hadn't worked out. I heard my heart tenderly whispering to me, that this time my dream was going to come true for real. It was a bizarre moment, when I decided to write the application for the TV programme. Me and my twin sister Laura were to attend a gig of Antti Tuisku, who is said to be the biggest pop star in Finland. Since Laura is a huge fan of Antti, we were sitting in front of the stage already a couple of hours before the gig started. I surfed on my cell phone, and since I had two hours to "kill", I decided to fill in the application form! I got a phone call from the ITV Studios later on in December, when I was wrapping up Christmas presents at home. The caller was absolutely thrilled about my dream. I had a hunch, that not many people in Finland dreamed about meeting the F1 driver Sebastian Vettel... Actually it turned out, that I was the only participant with an F1 related dream. The official confirmation of being selected as one of the participants in the TV programme came at the beginning of January 2017. The first filming day took place in February 2017. It was a memorable day indeed. I headed to the studio with Laura, and we both had our stomachs filled with butterflies. Apart from my wedding day, I have never had a make-up done on me. It was really exciting to sit in front of a live audience and say the dream out loud: This time next year I have met and interviewed the F1 champion Sebastian Vettel! Me and Laura, we've always had our heads in the clouds and dreamed big. Laura's dream, too, was everything but a modest one: she wanted to become one of Antti Tuisku's official show dancers! The second filming day took place at the end of January 2018. An awful lot had happened in those 12 months between the two filming days! It was amazing to sit in the studio in front of the live audience and look back at that fairy-tale like trip. But the year hadn't been only about dreams coming true. The very same year had seen my worst nightmare come true as well, as in October 2017 my 11-year-old son had been diagnosed with cancer. However, making my dream come true has given me a huge amount of positive energy and strength to face all the difficulties in life. 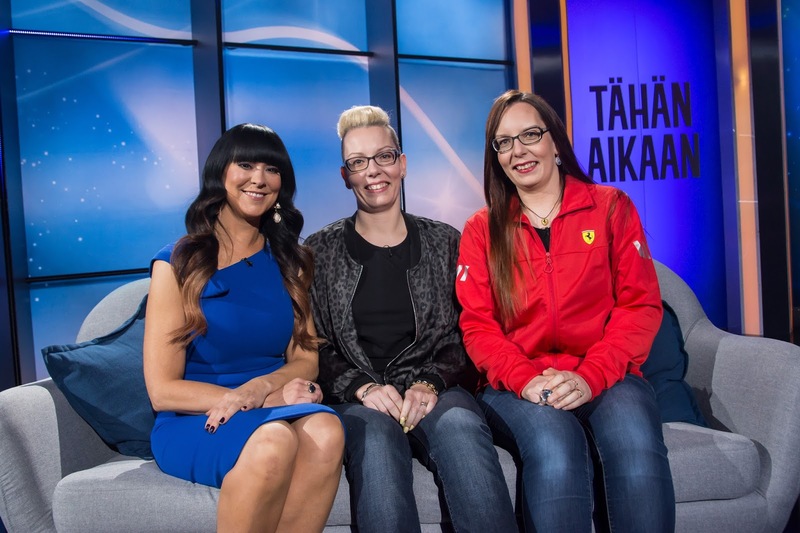 The TV programme was aired last Thursday here in Finland. I have to admit it was kind of awkward to see myself on the TV screen! Without the passion for making my dream come true, I wouldn't have decided to take part in a TV programme. However, by taking part in This time next year, I hope to have set an example, that dreams are there to be chased. There's no dream too big! It's amazing what kind of dreams can be turned into reality, if you have the passion to throw yourself into them. So dream big! And get inspired by persons you look up to! 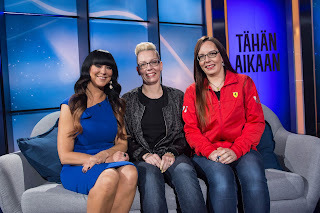 Me (in the middle), Laura and the wonderful hostess Ellen Jokikunnas in the studio on the second filming day in January 2018. Monaco GP: Ricciardo got his redemption! Spanish GP: Mercedes bounced back by taking 1-2!